Twin City Fire Insurance Company has roots that date back over a hundred years. The company is now a subsidiary of The Hartford Financial Services Group, better known as simply, The Hartford. Twin City Fire is a private property and casualty insurance provider offering several personal and commercial types of policies. Although health insurance is listed as one type of policy offered by this company, it appears that they mostly specialize in workers compensation and automobile insurance. Find an insurance company that specializes in health insurance. Click here and enter your zip code to get started with a free list of local health insurance companies and rate quotes. Twin City Fire Insurance Company was established in 1910 and was formerly known as Twin City Fire Insurance Company of Indiana. It is now part of The Hartford Financial Services Group and is based in Hartford, Connecticut. 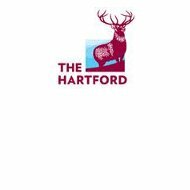 The Hartford, which was founded in 1810, is now one of the country’s largest financial services companies. Twin City Fire Insurance is currently led by President and Chief Executive Officer, Juan Carlos Andrade. It is authorized to conduct business in all 50 states plus Washington, D.C., but the majority of its policies come from New York, California, Florida, and Texas. Twin City Fire Insurance Company and its parent company, The Hartford, have received solid ratings for financial stability and performance. The company has received a rating of A+ (Superior) from AM Best (http://ambest.com) despite some economic difficulties during the financial turmoil of 2008, during which time The Hartford received TARP funds from the government. They have since repaid all of that money and remain financially secure. Twin City Fire Insurance Company has also received a rating of A+ from the Better Business Bureau (www.bbb.org). This rating is based on the length of time the company has been in business, the complaint volume compared to that of other companies of the same size, and its responses to and resolutions of complaints. The Hartford Financial Services Company uses a network of over 15,000 independent agents across the county to market its products and those of its subsidiaries, including Twin City Fire Insurance Company. These agents are not employed by Twin City or The Hartford and will work with clients to get them the best deal possible on insurance. Although health insurance specifics could not be found, more detailed information was available regarding Twin City Fire Insurance Company’s Medical Provider Network relating to their workers compensation policies. This provider network is operated by American All-Risk Loss Administrators (AARLA). These doctors and medical facilities specialize in occupational healthcare in order to help employers minimize loss of productivity due to an employee’s absence. Find companies that specialize in health insurance and get rate quotes instantly. Start comparing health insurance quotes now when you enter your zip code in our search tool.